Who are you beyond your role of mom? Who is that person that is inside the mom experience? This is the big question we talk about on today’s podcast with my interview with Randi Zinn. 1. The importance of investing in support. Expecting and harnessing support is imperative. Know you deserve support. Own that support. 2. The body is our foundation. A sense of well-being in physicality translates into a well mental state of mind. 3. Every single day nurture some part of who you are beyond your role as mom. 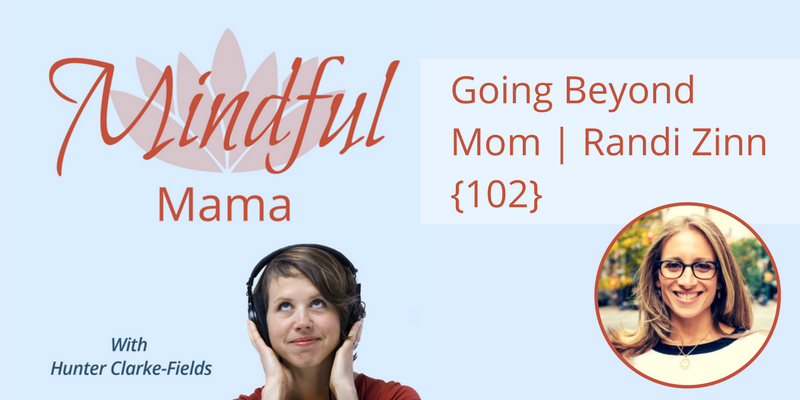 Randi Zinn is an author, mindfulness and wellness expert, and founder of Beyond Mom and BeyondMom.com. Born from her own experience of motherhood, and the desire for a more connected community. She encourages moms to cultivate a life “Beyond Mom”- one that embraces the gifts of motherhood but expresses all that they are as individuals: creators, businesswomen, thinkers, friends, and so much more. What’s your takeaway? Start the conversation in the comments below.